BUY WITH CONFIDENCE! CARFAX Buyback Guarantee qualified! WARRANTY A Full-Factory Warranty is included with this vehicle. Contact seller for more information. KEY FEATURES AND OPTIONS Comes equipped with: Black, Leatherette Seat Trim, Navy Blue. This Mercedes-Benz Metris Passenger Van also includes Air Conditioning, Power Driver's Seat, Clock, Tachometer, Tilt Steering Wheel, Power Steering, Power Windows, Driver Airbag, Passenger Airbag, Intermittent Wipers, Side Airbags, Keyless Entry, AM/FM, Anti-Theft, Bluetooth®, Cup Holders, Daytime Running Lights, Reverse Camera, Side Curtain Airbags, Roll Stability Control, Tire Pressure Monitor, Premium Sound, Aux. Audio Input. Air Conditioning, Power Steering, Power Windows, Power Drivers Seat, Clock, Tachometer, Tilt Steering Wheel, Driver Airbag, Passenger Airbag, Side Airbags, Keyless Entry, Intermittent Wipers, AM/FM, Anti-Theft, Leatherette Interior Surface, Aux. Audio Input, Bluetooth®, Cup Holders, Daytime Running Lights, Premium Sound, Reverse Camera, Roll Stability Control, Side Curtain Airbags, Tire Pressure Monitor -BUY WITH CONFIDENCE! Comes equipped with: Black, Leatherette Seat Trim, Navy Blue. BUY WITH CONFIDENCE! CARFAX Buyback Guarantee qualified! OWN MERCEDES-BENZ CERTIFIED! Enjoy these Certified Mercedes-Benz benefits a 162 point inspection, 24/7 roadside assistance, a warranty of: Rigorous inspection by factory-certified technicians and a thorough check of the title and service history, including a CARFAX vehicle history report., Limited Warranty: 1 year (begins when the remainder of the new vehicle coverage from original purchase ends), unlimited mileage. ;24-hour roadside assistance, trip interruption services, and trip planning services. ;Eligibility Age (Years) / Mileage: 6 model years / < 75,000 miles LOADED WITH VALUE! Comes equipped with: Air Conditioning, Sunroof, Bluetooth®, Front Heated Seats. This Mercedes-Benz GL also includes Clock, Climate Control, Tachometer, Dual Zone Climate Control, Memory Seat Position, Cruise Control, Homelink System, Privacy Glass/Tinted Windows, Power Steering, Telescoping Steering Wheel, Steering Radio Controls, Wood Trim, Power Mirrors, Moonroof, Lthr. Steering Wheel, Driver Airbag, Passenger Airbag, Intermittent Wipers, Side Airbags, Keyless Entry, Rear Defogger, Security System, AM/FM, Anti-Theft, Air Conditioned Seats, Rear Spoiler, 3rd Row Seating, Rear Wipers, Center Arm Rest, Remote Trunk Lid, Vanity Mirrors, Heated Mirrors, Body Side Moldings, Rear Fog Lamps, Child Proof Door Locks, Daytime Running Lights, Front AC Seats, Reverse Camera, Side Curtain Airbags, Roll Stability Control, Power Lift Gate, Tire Pressure Monitor, Carpeted Floor Mats, Overhead Console. Air Conditioning, Climate Control, Dual Zone Climate Control, Cruise Control, Tinted Windows, Power Steering, Power Mirrors, Leather Steering Wheel, Memory Seat Position, Wood Trim, Clock, Tachometer, Homelink System, Telescoping Steering Wheel, Steering Wheel Radio Controls, Sunroof, Moonroof, Driver Airbag, Passenger Airbag, Side Airbags, Keyless Entry, Security System, Rear Defogger, Intermittent Wipers, AM/FM, Anti-Theft, MB TEX Interior Surface, 3rd Row Seating, Air Conditioned Seats, Bluetooth®, Body Side Moldings, Carpeted Floor Mats, Center Arm Rest, Child Proof Door Locks, Daytime Running Lights, Front AC Seats, Front Heated Seats, Heated Mirrors, Overhead Console, Power Lift Gate, Rear Fog Lamps, Rear Spoiler, Rear Spoiler, Rear Wipers, Remote Trunk Lid, Reverse Camera, Roll Stability Control, Side Curtain Airbags, Tire Pressure Monitor, Vanity Mirrors -BUY WITH CONFIDENCE! Enjoy these Certified Mercedes-Benz benefits a 162 point inspection, 24/7 roadside assistance, a warranty of: Rigorous inspection by factory-certified technicians and a thorough check of the title and service history, including a CARFAX vehicle history report., Limited Warranty: 1 year (begins when the remainder of the new vehicle coverage from original purchase ends), unlimited mileage. ;24-hour roadside assistance, trip interruption services, and trip planning services. Comes equipped with: Air Conditioning, Sunroof, Bluetooth®, Front Heated Seats. BUY WITH CONFIDENCE! CARFAX Buyback Guarantee qualified! WARRANTY INCLUDED! A Full-Factory Warranty is included with this vehicle. Contact us today for more information. VERY LOW MILES! At just 999 miles, this 2018 Mercedes-Benz provides great value. KEY FEATURES AND OPTIONS Comes equipped with: Anthracite Poplar Wood Trim, Appearance Package, Black Headliner, Black, Mb-Tex Upholstery, Harman/Kardon Logic 7® Surround Sound System, Heated Steering Wheel, Illuminated Star, Lighting Package, Panorama Sunroof, Polar White, Power Easy-Entry, Premium Package, Rear Seat Entertainment Pre-Wiring, Trailer Hitch, Wheel Locking Bolts. This Mercedes-Benz GLS also includes Air Conditioning, Clock, Climate Control, Tachometer, Dual Zone Climate Control, Cruise Control, Homelink System, Privacy Glass/Tinted Windows, Power Steering, Telescoping Steering Wheel, Steering Radio Controls, Sunroof, Power Mirrors, Moonroof, Lthr. Steering Wheel, Driver Airbag, Passenger Airbag, Intermittent Wipers, Side Airbags, Rear Defogger, Security System, AM/FM, Anti-Theft, MP3, Bluetooth®, Rear Spoiler, 3rd Row Seating, Rear Wipers, Center Arm Rest, Remote Trunk Lid, Vanity Mirrors, Heated Mirrors, Body Side Moldings, Rear Fog Lamps, Child Proof Door Locks, Daytime Running Lights, Reverse Camera, Side Curtain Airbags, Roll Stability Control, Power Lift Gate, Tire Pressure Monitor, Premium Sound, Carpeted Floor Mats, Overhead Console, Aux. Audio Input, Front Heated Seats, HD Radio. Air Conditioning, Climate Control, Dual Zone Climate Control, Cruise Control, Tinted Windows, Power Steering, Power Mirrors, Leather Steering Wheel, Clock, Tachometer, Homelink System, Telescoping Steering Wheel, Steering Wheel Radio Controls, Sunroof, Moonroof, Driver Airbag, Passenger Airbag, Side Airbags, Security System, Rear Defogger, Intermittent Wipers, AM/FM, Anti-Theft, 3rd Row Seating, Aux. Audio Input, Bluetooth®, Body Side Moldings, Carpeted Floor Mats, Center Arm Rest, Child Proof Door Locks, Daytime Running Lights, Front Heated Seats, Heated Mirrors, Overhead Console, Power Lift Gate, Premium Sound, Rear Fog Lamps, Rear Spoiler, Rear Spoiler, Rear Wipers, Remote Trunk Lid, Reverse Camera, Roll Stability Control, Side Curtain Airbags, Tire Pressure Monitor, Vanity Mirrors -BUY WITH CONFIDENCE! A Full-Factory Warranty is included with this vehicle. Contact us today for more information. At just 999 miles, this 2018 Mercedes-Benz provides great value. Comes equipped with: Anthracite Poplar Wood Trim, Appearance Package, Black Headliner, Black, Mb-Tex Upholstery, Harman/Kardon Logic 7® Surround Sound System, Heated Steering Wheel, Illuminated Star, Lighting Package, Panorama Sunroof, Polar White, Power Easy-Entry, Premium Package, Rear Seat Entertainment Pre-Wiring, Trailer Hitch, Wheel Locking Bolts. REST EASY! With its Buyback Qualified CARFAX report, you can rest easy with this Mercedes-Benz purchase. WARRANTY A Full-Factory Warranty is included with this vehicle. Contact seller for more information. LOADED WITH VALUE! Comes equipped with: Black, Blind Spot Assist, Burmester Premium Sound System, Control Code, Heated Front Seats, Heated Steering Wheel, Illuminated Star, Natural Grain Walnut Wood Trim, Panorama Sunroof, Porcelain Fabric Headliner, Premium Package, Sd-Card Navigation Pre-Wiring, Silk Beige, Mb-Tex Upholstery, Wheels: 18 Twin 5-Spoke. This Mercedes-Benz C-Class also includes Air Conditioning, Clock, Climate Control, Tachometer, Dual Zone Climate Control, Memory Seat Position, Cruise Control, Homelink System, Power Steering, Telescoping Steering Wheel, Steering Radio Controls, Sunroof, Power Mirrors, Moonroof, Lthr. Steering Wheel, Driver Airbag, Passenger Airbag, Intermittent Wipers, Rear Defogger, Security System, Anti-Theft, Satellite Radio, Center Arm Rest, Vanity Mirrors, Heated Mirrors, Body Side Moldings, Rear Fog Lamps, Child Proof Door Locks, Daytime Running Lights, Reverse Camera, Side Curtain Airbags, Roll Stability Control, Rear-Side Airbags, Tire Pressure Monitor, Carpeted Floor Mats, Overhead Console, Voice Control. Air Conditioning, Climate Control, Dual Zone Climate Control, Cruise Control, Power Steering, Power Mirrors, Leather Steering Wheel, Memory Seat Position, Clock, Tachometer, Homelink System, Telescoping Steering Wheel, Steering Wheel Radio Controls, Sunroof, Moonroof, Driver Airbag, Passenger Airbag, Security System, Rear Defogger, Intermittent Wipers, Anti-Theft, Body Side Moldings, Carpeted Floor Mats, Center Arm Rest, Child Proof Door Locks, Daytime Running Lights, Heated Mirrors, Overhead Console, Rear Fog Lamps, Rear-Side Airbags, Reverse Camera, Roll Stability Control, Side Curtain Airbags, Tire Pressure Monitor, Vanity Mirrors -REST EASY! With its Buyback Qualified CARFAX report, you can rest easy with this Mercedes-Benz purchase. Comes equipped with: Black, Blind Spot Assist, Burmester Premium Sound System, Control Code, Heated Front Seats, Heated Steering Wheel, Illuminated Star, Natural Grain Walnut Wood Trim, Panorama Sunroof, Porcelain Fabric Headliner, Premium Package, Sd-Card Navigation Pre-Wiring, Silk Beige, Mb-Tex Upholstery, Wheels: 18 Twin 5-Spoke. REST EASY! 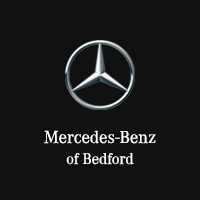 With its Buyback Qualified CARFAX report, you can rest easy with this Mercedes-Benz purchase. WARRANTY INCLUDED! A Full-Factory Warranty is included with this vehicle. Contact us today for more information. LOADED WITH VALUE! Comes equipped with: Ambient Lighting (3 Colors), Amg Line, Black Fabric Headliner, Black Mb-Tex, Mb-Tex Upholstery, Blind Spot Assist, Burmester Surround Sound System, Heated Front Seats, Heated Steering Wheel, Illuminated Door Sills, Multimedia Package, Natural Grain Black Ash Wood Trim, Natural Grain Black Ash Wood/Aluminum Door Trim, Panorama Sunroof, Premium Package, Rear Chrome Trim, Rear Seat Entertainment & Comfort Adapter, Saddle Brown/Black, Leather Upholstery, Selenite Grey Metallic, Static Led Headlamps, Tires: P235/55r19 All-Season Run-Flat, Wheels: 19 Amg Twin 5-Spoke with Grey Accents. This Mercedes-Benz GLC also includes Air Conditioning, Clock, Climate Control, Tachometer, Dual Zone Climate Control, Cruise Control, Homelink System, Privacy Glass/Tinted Windows, Power Steering, Telescoping Steering Wheel, Steering Radio Controls, Power Mirrors, Lthr. Steering Wheel, Driver Airbag, Passenger Airbag, Intermittent Wipers, Side Airbags, Rear Defogger, Security System, AM/FM, Anti-Theft, CD Player, Bluetooth®, Rear Wipers, Center Arm Rest, Remote Trunk Lid, Vanity Mirrors, Heated Mirrors, Rear Fog Lamps, Child Proof Door Locks, Daytime Running Lights, Reverse Camera, Side Curtain Airbags, Roll Stability Control, Power Lift Gate, Tire Pressure Monitor, Carpeted Floor Mats, Overhead Console, Aux. Audio Input, Front Heated Seats, HD Radio. Air Conditioning, Climate Control, Dual Zone Climate Control, Cruise Control, Tinted Windows, Power Steering, Power Mirrors, Leather Steering Wheel, Clock, Tachometer, Homelink System, Telescoping Steering Wheel, Steering Wheel Radio Controls, Driver Airbag, Passenger Airbag, Side Airbags, Security System, Rear Defogger, Intermittent Wipers, AM/FM, CD Player, Anti-Theft, Aux. Audio Input, Bluetooth®, Carpeted Floor Mats, Center Arm Rest, Child Proof Door Locks, Daytime Running Lights, Front Heated Seats, Heated Mirrors, Overhead Console, Power Lift Gate, Rear Fog Lamps, Rear Wipers, Remote Trunk Lid, Reverse Camera, Roll Stability Control, Side Curtain Airbags, Tire Pressure Monitor, Vanity Mirrors -REST EASY! Comes equipped with: Ambient Lighting (3 Colors), Amg Line, Black Fabric Headliner, Black Mb-Tex, Mb-Tex Upholstery, Blind Spot Assist, Burmester Surround Sound System, Heated Front Seats, Heated Steering Wheel, Illuminated Door Sills, Multimedia Package, Natural Grain Black Ash Wood Trim, Natural Grain Black Ash Wood/Aluminum Door Trim, Panorama Sunroof, Premium Package, Rear Chrome Trim, Rear Seat Entertainment & Comfort Adapter, Saddle Brown/Black, Leather Upholstery, Selenite Grey Metallic, Static Led Headlamps, Tires: P235/55r19 All-Season Run-Flat, Wheels: 19 Amg Twin 5-Spoke with Grey Accents. BUY WITH CONFIDENCE! CARFAX 1-Owner GLE and CARFAX Buyback Guarantee qualified! VERY LOW MILES! At just 8035 miles, this 2018 Mercedes-Benz provides great value. KEY FEATURES AND OPTIONS Comes equipped with: Anthracite Poplar Wood Trim, Black Headliner, Black, Mb-Tex Leatherette Seat Trim, Harman/Kardon Logic7 Surround Sound System, Heated Steering Wheel, Premium 1 Package, Rear Seat Entertainment Pre-Wiring, Selenite Grey Metallic, Trailer Hitch, Wheels: 19 5-Spoke. This Mercedes-Benz GLE also includes Air Conditioning, Clock, Climate Control, Tachometer, Dual Zone Climate Control, Memory Seat Position, Cruise Control, Homelink System, Privacy Glass/Tinted Windows, Power Steering, Telescoping Steering Wheel, Steering Radio Controls, Sunroof, Power Mirrors, Moonroof, Lthr. Steering Wheel, Driver Airbag, Passenger Airbag, Intermittent Wipers, Side Airbags, Rear Defogger, Security System, AM/FM, Anti-Theft, CD Player, MP3, Air Conditioned Seats, Bluetooth®, Rear Spoiler, Rear Wipers, Center Arm Rest, Remote Trunk Lid, Vanity Mirrors, Heated Mirrors, Rear Fog Lamps, Child Proof Door Locks, Daytime Running Lights, Front AC Seats, Reverse Camera, Side Curtain Airbags, Roll Stability Control, Power Lift Gate, Tire Pressure Monitor, Carpeted Floor Mats, Aux. Audio Input, Front Heated Seats, HD Radio, Voice Control. Air Conditioning, Climate Control, Dual Zone Climate Control, Cruise Control, Tinted Windows, Power Steering, Power Mirrors, Leather Steering Wheel, Memory Seat Position, Clock, Tachometer, Homelink System, Telescoping Steering Wheel, Steering Wheel Radio Controls, Sunroof, Moonroof, Driver Airbag, Passenger Airbag, Side Airbags, Security System, Rear Defogger, Intermittent Wipers, AM/FM, CD Player, Anti-Theft, Air Conditioned Seats, Aux. Audio Input, Bluetooth®, Carpeted Floor Mats, Center Arm Rest, Child Proof Door Locks, Daytime Running Lights, Front AC Seats, Front Heated Seats, Heated Mirrors, Power Lift Gate, Rear Fog Lamps, Rear Spoiler, Rear Spoiler, Rear Wipers, Remote Trunk Lid, Reverse Camera, Roll Stability Control, Side Curtain Airbags, Tire Pressure Monitor, Vanity Mirrors -BUY WITH CONFIDENCE! CARFAX 1-Owner GLE and CARFAX Buyback Guarantee qualified! At just 8035 miles, this 2018 Mercedes-Benz provides great value. Comes equipped with: Anthracite Poplar Wood Trim, Black Headliner, Black, Mb-Tex Leatherette Seat Trim, Harman/Kardon Logic7 Surround Sound System, Heated Steering Wheel, Premium 1 Package, Rear Seat Entertainment Pre-Wiring, Selenite Grey Metallic, Trailer Hitch, Wheels: 19 5-Spoke. BUY AND DRIVE WORRY FREE! Own this CARFAX Buyback Guarantee Qualified C-Class today, worry free! WARRANTY A Full-Factory Warranty is included with this vehicle. Contact seller for more information. LOADED WITH VALUE! Comes equipped with: 10.25 Center Display, Black Fabric Headliner, Black, Mb-Tex Upholstery, Blind Spot Assist, Burmester Premium Sound System, Control Code, Heated Front Seats, Heated Steering Wheel, Illuminated Star, Mojave Silver Metallic, Natural Grain Grey Oak Wood Trim, Panorama Sunroof, Premium Package, Sd-Card Navigation Pre-Wiring, Wheels: 18 Twin 5-Spoke. This Mercedes-Benz C-Class also includes Air Conditioning, Clock, Climate Control, Tachometer, Dual Zone Climate Control, Memory Seat Position, Cruise Control, Homelink System, Power Steering, Telescoping Steering Wheel, Steering Radio Controls, Wood Trim, Sunroof, Power Mirrors, Moonroof, Lthr. Steering Wheel, Driver Airbag, Passenger Airbag, Intermittent Wipers, Rear Defogger, Security System, Anti-Theft, Satellite Radio, Center Arm Rest, Vanity Mirrors, Heated Mirrors, Body Side Moldings, Rear Fog Lamps, Child Proof Door Locks, Daytime Running Lights, Reverse Camera, Side Curtain Airbags, Roll Stability Control, Rear-Side Airbags, Tire Pressure Monitor, Carpeted Floor Mats, Overhead Console, Voice Control. Air Conditioning, Climate Control, Dual Zone Climate Control, Cruise Control, Power Steering, Power Mirrors, Leather Steering Wheel, Memory Seat Position, Wood Trim, Clock, Tachometer, Homelink System, Telescoping Steering Wheel, Steering Wheel Radio Controls, Sunroof, Moonroof, Driver Airbag, Passenger Airbag, Security System, Rear Defogger, Intermittent Wipers, Anti-Theft, Body Side Moldings, Carpeted Floor Mats, Center Arm Rest, Child Proof Door Locks, Daytime Running Lights, Heated Mirrors, Overhead Console, Rear Fog Lamps, Rear-Side Airbags, Reverse Camera, Roll Stability Control, Side Curtain Airbags, Tire Pressure Monitor, Vanity Mirrors -BUY AND DRIVE WORRY FREE! Own this CARFAX Buyback Guarantee Qualified C-Class today, worry free! Comes equipped with: 10.25 Center Display, Black Fabric Headliner, Black, Mb-Tex Upholstery, Blind Spot Assist, Burmester Premium Sound System, Control Code, Heated Front Seats, Heated Steering Wheel, Illuminated Star, Mojave Silver Metallic, Natural Grain Grey Oak Wood Trim, Panorama Sunroof, Premium Package, Sd-Card Navigation Pre-Wiring, Wheels: 18 Twin 5-Spoke. BUY WITH CONFIDENCE! CARFAX Buyback Guarantee qualified! WARRANTY A Full-Factory Warranty is included with this vehicle. Contact seller for more information. KEY FEATURES AND OPTIONS Comes equipped with: Black, Mb-Tex Leatherette Seat Trim, Convenience Package, Mountain Grey Metallic, Panorama Sunroof, Premium Package, Rear Spoiler, Sail Pattern Trim, Smartphone Integration, Wheels: 18 5-Spoke Alloy. This Mercedes-Benz CLA also includes Air Conditioning, Clock, Climate Control, Tachometer, Dual Zone Climate Control, Cruise Control, Power Steering, Telescoping Steering Wheel, Steering Radio Controls, Power Mirrors, Lthr. Steering Wheel, Driver Airbag, Passenger Airbag, Intermittent Wipers, Side Airbags, Rear Defogger, Security System, AM/FM, Anti-Theft, CD Player, Bluetooth®, Center Arm Rest, Vanity Mirrors, Heated Mirrors, Rear Fog Lamps, Child Proof Door Locks, Daytime Running Lights, Reverse Camera, Side Curtain Airbags, Roll Stability Control, Tire Pressure Monitor, Carpeted Floor Mats, Overhead Console, HD Radio. Air Conditioning, Climate Control, Dual Zone Climate Control, Cruise Control, Power Steering, Power Mirrors, Leather Steering Wheel, Clock, Tachometer, Telescoping Steering Wheel, Steering Wheel Radio Controls, Driver Airbag, Passenger Airbag, Side Airbags, Security System, Rear Defogger, Intermittent Wipers, AM/FM, CD Player, Anti-Theft, Bluetooth®, Carpeted Floor Mats, Center Arm Rest, Child Proof Door Locks, Daytime Running Lights, Heated Mirrors, Overhead Console, Rear Fog Lamps, Reverse Camera, Roll Stability Control, Side Curtain Airbags, Tire Pressure Monitor, Vanity Mirrors -BUY WITH CONFIDENCE! Comes equipped with: Black, Mb-Tex Leatherette Seat Trim, Convenience Package, Mountain Grey Metallic, Panorama Sunroof, Premium Package, Rear Spoiler, Sail Pattern Trim, Smartphone Integration, Wheels: 18 5-Spoke Alloy. REST EASY! With its Buyback Qualified CARFAX report, you can rest easy with this Mercedes-Benz purchase. WARRANTY INCLUDED! A Full-Factory Warranty is included with this vehicle. Contact us today for more information. LOADED WITH VALUE! Comes equipped with: Black Fabric Headliner, Black, Mb-Tex Upholstery, Blind Spot Assist, Burmester Premium Sound System, Control Code, Heated Front Seats, Heated Steering Wheel, Illuminated Star, Inductive Wireless Charging with Nfc Pairing, Multimedia Package, Natural Grain Grey Oak Wood Trim, Panorama Sunroof, Polar White, Premium Package, Wheels: 18 Twin 5-Spoke. This Mercedes-Benz C-Class also includes Air Conditioning, Clock, Climate Control, Tachometer, Dual Zone Climate Control, Memory Seat Position, Cruise Control, Homelink System, Power Steering, Telescoping Steering Wheel, Steering Radio Controls, Wood Trim, Sunroof, Power Mirrors, Moonroof, Lthr. Steering Wheel, Driver Airbag, Passenger Airbag, Intermittent Wipers, Rear Defogger, Security System, Anti-Theft, Satellite Radio, Center Arm Rest, Vanity Mirrors, Heated Mirrors, Body Side Moldings, Rear Fog Lamps, Child Proof Door Locks, Daytime Running Lights, Reverse Camera, Side Curtain Airbags, Roll Stability Control, Rear-Side Airbags, Tire Pressure Monitor, Carpeted Floor Mats, Overhead Console, Voice Control. Air Conditioning, Climate Control, Dual Zone Climate Control, Cruise Control, Power Steering, Power Mirrors, Leather Steering Wheel, Memory Seat Position, Wood Trim, Clock, Tachometer, Homelink System, Telescoping Steering Wheel, Steering Wheel Radio Controls, Sunroof, Moonroof, Driver Airbag, Passenger Airbag, Security System, Rear Defogger, Intermittent Wipers, Anti-Theft, Body Side Moldings, Carpeted Floor Mats, Center Arm Rest, Child Proof Door Locks, Daytime Running Lights, Heated Mirrors, Overhead Console, Rear Fog Lamps, Rear-Side Airbags, Reverse Camera, Roll Stability Control, Side Curtain Airbags, Tire Pressure Monitor, Vanity Mirrors -REST EASY! Comes equipped with: Black Fabric Headliner, Black, Mb-Tex Upholstery, Blind Spot Assist, Burmester Premium Sound System, Control Code, Heated Front Seats, Heated Steering Wheel, Illuminated Star, Inductive Wireless Charging with Nfc Pairing, Multimedia Package, Natural Grain Grey Oak Wood Trim, Panorama Sunroof, Polar White, Premium Package, Wheels: 18 Twin 5-Spoke. REST EASY! With its Buyback Qualified CARFAX report, you can rest easy with this Mercedes-Benz purchase. WARRANTY INCLUDED! A Full-Factory Warranty is included with this vehicle. Contact us today for more information. VERY LOW MILES! At just 999 miles, this 2018 Mercedes-Benz provides great value. LOADED WITH VALUE! Comes equipped with: Anthracite Poplar Wood Trim, Black Headliner, Black, Mb-Tex Leatherette Seat Trim, Harman/Kardon Logic7 Surround Sound System, Heated Steering Wheel, Premium 1 Package, Rear Seat Entertainment Pre-Wiring, Selenite Grey Metallic, Wheel Locks, Wheels: 19 5-Spoke. This Mercedes-Benz GLE also includes Air Conditioning, Clock, Climate Control, Tachometer, Dual Zone Climate Control, Memory Seat Position, Cruise Control, Homelink System, Privacy Glass/Tinted Windows, Power Steering, Telescoping Steering Wheel, Steering Radio Controls, Sunroof, Power Mirrors, Moonroof, Lthr. Steering Wheel, Driver Airbag, Passenger Airbag, Intermittent Wipers, Side Airbags, Rear Defogger, Security System, AM/FM, Anti-Theft, CD Player, MP3, Air Conditioned Seats, Bluetooth®, Rear Spoiler, Rear Wipers, Center Arm Rest, Remote Trunk Lid, Vanity Mirrors, Heated Mirrors, Rear Fog Lamps, Child Proof Door Locks, Daytime Running Lights, Front AC Seats, Reverse Camera, Side Curtain Airbags, Roll Stability Control, Power Lift Gate, Tire Pressure Monitor, Carpeted Floor Mats, Aux. Audio Input, Front Heated Seats, HD Radio, Voice Control. Air Conditioning, Climate Control, Dual Zone Climate Control, Cruise Control, Tinted Windows, Power Steering, Power Mirrors, Leather Steering Wheel, Memory Seat Position, Clock, Tachometer, Homelink System, Telescoping Steering Wheel, Steering Wheel Radio Controls, Sunroof, Moonroof, Driver Airbag, Passenger Airbag, Side Airbags, Security System, Rear Defogger, Intermittent Wipers, AM/FM, CD Player, Anti-Theft, Air Conditioned Seats, Aux. Audio Input, Bluetooth®, Carpeted Floor Mats, Center Arm Rest, Child Proof Door Locks, Daytime Running Lights, Front AC Seats, Front Heated Seats, Heated Mirrors, Power Lift Gate, Rear Fog Lamps, Rear Spoiler, Rear Spoiler, Rear Wipers, Remote Trunk Lid, Reverse Camera, Roll Stability Control, Side Curtain Airbags, Tire Pressure Monitor, Vanity Mirrors -REST EASY! Comes equipped with: Anthracite Poplar Wood Trim, Black Headliner, Black, Mb-Tex Leatherette Seat Trim, Harman/Kardon Logic7 Surround Sound System, Heated Steering Wheel, Premium 1 Package, Rear Seat Entertainment Pre-Wiring, Selenite Grey Metallic, Wheel Locks, Wheels: 19 5-Spoke. BUY WITH CONFIDENCE! CARFAX Buyback Guarantee qualified! WARRANTY A Full-Factory Warranty is included with this vehicle. Contact seller for more information. LOADED WITH VALUE! Comes equipped with: Black, Mb-Tex Leatherette Seat Trim, Convenience Package, Harman/Kardon Premium Sound System, Jupiter Red, Led Headlamps, Panorama Sunroof, Premium Package, Rear Spoiler, Sail Pattern Trim, Smartphone Integration, Wheels: 18 5-Spoke Multi-Spoke. This Mercedes-Benz CLA also includes Air Conditioning, Clock, Climate Control, Tachometer, Dual Zone Climate Control, Cruise Control, Power Steering, Telescoping Steering Wheel, Steering Radio Controls, Power Mirrors, Lthr. Steering Wheel, Driver Airbag, Passenger Airbag, Intermittent Wipers, Side Airbags, Rear Defogger, Security System, AM/FM, Anti-Theft, CD Player, Bluetooth®, Center Arm Rest, Vanity Mirrors, Heated Mirrors, Rear Fog Lamps, Child Proof Door Locks, Daytime Running Lights, Reverse Camera, Side Curtain Airbags, Roll Stability Control, Tire Pressure Monitor, Carpeted Floor Mats, Overhead Console, HD Radio. Air Conditioning, Climate Control, Dual Zone Climate Control, Cruise Control, Power Steering, Power Mirrors, Leather Steering Wheel, Clock, Tachometer, Telescoping Steering Wheel, Steering Wheel Radio Controls, Driver Airbag, Passenger Airbag, Side Airbags, Security System, Rear Defogger, Intermittent Wipers, AM/FM, CD Player, Anti-Theft, Bluetooth®, Carpeted Floor Mats, Center Arm Rest, Child Proof Door Locks, Daytime Running Lights, Heated Mirrors, Overhead Console, Rear Fog Lamps, Reverse Camera, Roll Stability Control, Side Curtain Airbags, Tire Pressure Monitor, Vanity Mirrors -BUY WITH CONFIDENCE! Comes equipped with: Black, Mb-Tex Leatherette Seat Trim, Convenience Package, Harman/Kardon Premium Sound System, Jupiter Red, Led Headlamps, Panorama Sunroof, Premium Package, Rear Spoiler, Sail Pattern Trim, Smartphone Integration, Wheels: 18 5-Spoke Multi-Spoke. REST EASY! With its Buyback Qualified CARFAX report, you can rest easy with this Mercedes-Benz purchase. WARRANTY A Full-Factory Warranty is included with this vehicle. Contact seller for more information. LOADED WITH VALUE! Comes equipped with: Black, Mb-Tex Leatherette Seat Trim, Convenience Package, Mountain Grey Metallic, Panorama Sunroof, Premium Package, Rear Spoiler, Sail Pattern Trim, Smartphone Integration, Wheels: 18 5-Spoke Alloy. This Mercedes-Benz CLA also includes Air Conditioning, Clock, Climate Control, Tachometer, Dual Zone Climate Control, Cruise Control, Power Steering, Telescoping Steering Wheel, Steering Radio Controls, Power Mirrors, Lthr. Steering Wheel, Driver Airbag, Passenger Airbag, Intermittent Wipers, Side Airbags, Rear Defogger, Security System, AM/FM, Anti-Theft, CD Player, Bluetooth®, Center Arm Rest, Vanity Mirrors, Heated Mirrors, Rear Fog Lamps, Child Proof Door Locks, Daytime Running Lights, Reverse Camera, Side Curtain Airbags, Roll Stability Control, Tire Pressure Monitor, Carpeted Floor Mats, Overhead Console, HD Radio. Air Conditioning, Climate Control, Dual Zone Climate Control, Cruise Control, Power Steering, Power Mirrors, Leather Steering Wheel, Clock, Tachometer, Telescoping Steering Wheel, Steering Wheel Radio Controls, Driver Airbag, Passenger Airbag, Side Airbags, Security System, Rear Defogger, Intermittent Wipers, AM/FM, CD Player, Anti-Theft, Bluetooth®, Carpeted Floor Mats, Center Arm Rest, Child Proof Door Locks, Daytime Running Lights, Heated Mirrors, Overhead Console, Rear Fog Lamps, Reverse Camera, Roll Stability Control, Side Curtain Airbags, Tire Pressure Monitor, Vanity Mirrors -REST EASY! REST EASY! With its Buyback Qualified CARFAX report, you can rest easy with this Mercedes-Benz purchase. WARRANTY INCLUDED! A Full-Factory Warranty is included with this vehicle. Contact us today for more information. LOADED WITH VALUE! Comes equipped with: Black Headliner, Black, Mb-Tex Upholstery, Compass, Convenience Package, Full Led Headlamps, Illuminated Star, Night Black, Panorama Sunroof, Premium Package, Radio: Harman/Kardon Premium Sound System, Sail Pattern Trim, Smartphone Integration, Wheels: 18 Twin 5-Spoke Alloy. This Mercedes-Benz GLA also includes Air Conditioning, Clock, Climate Control, Tachometer, Dual Zone Climate Control, Cruise Control, Privacy Glass/Tinted Windows, Power Steering, Telescoping Steering Wheel, Steering Radio Controls, Power Mirrors, Lthr. Steering Wheel, Driver Airbag, Fog Lights, Passenger Airbag, Intermittent Wipers, Side Airbags, Rear Defogger, Security System, AM/FM, Anti-Theft, Bluetooth®, Rear Spoiler, Rear Wipers, Center Arm Rest, Remote Trunk Lid, Vanity Mirrors, Heated Mirrors, Rear Fog Lamps, Child Proof Door Locks, Daytime Running Lights, Reverse Camera, Side Curtain Airbags, Roll Stability Control, Power Lift Gate, Tire Pressure Monitor, Carpeted Floor Mats, Overhead Console, HD Radio. Air Conditioning, Climate Control, Dual Zone Climate Control, Cruise Control, Tinted Windows, Power Steering, Power Mirrors, Leather Steering Wheel, Clock, Tachometer, Telescoping Steering Wheel, Steering Wheel Radio Controls, Driver Airbag, Passenger Airbag, Side Airbags, Security System, Rear Defogger, Fog Lights, Intermittent Wipers, AM/FM, Anti-Theft, Bluetooth®, Carpeted Floor Mats, Center Arm Rest, Child Proof Door Locks, Daytime Running Lights, Heated Mirrors, Overhead Console, Power Lift Gate, Rear Fog Lamps, Rear Spoiler, Rear Spoiler, Rear Wipers, Remote Trunk Lid, Reverse Camera, Roll Stability Control, Side Curtain Airbags, Tire Pressure Monitor, Vanity Mirrors -REST EASY! Comes equipped with: Black Headliner, Black, Mb-Tex Upholstery, Compass, Convenience Package, Full Led Headlamps, Illuminated Star, Night Black, Panorama Sunroof, Premium Package, Radio: Harman/Kardon Premium Sound System, Sail Pattern Trim, Smartphone Integration, Wheels: 18 Twin 5-Spoke Alloy. REST EASY! With its Buyback Qualified CARFAX report, you can rest easy with this Mercedes-Benz purchase. WARRANTY INCLUDED! A Full-Factory Warranty is included with this vehicle. Contact us today for more information. LOADED WITH VALUE! Comes equipped with: 10.25 Center Display, Blind Spot Assist, Body Color Rear Spoiler, Control Code, Heated Front Seats, Heated Steering Wheel, Mojave Silver Metallic, Natural Grain Walnut Wood Trim, Panorama Sunroof, Polar White, Porcelain Fabric Headliner, Premium Package, Sd-Card Navigation Pre-Wiring, Silk Beige, Mb-Tex Upholstery, Wheels: 18 Twin 5-Spoke. This Mercedes-Benz C-Class also includes Air Conditioning, Clock, Climate Control, Tachometer, Dual Zone Climate Control, Memory Seat Position, Cruise Control, Homelink System, Power Steering, Telescoping Steering Wheel, Steering Radio Controls, Sunroof, Power Mirrors, Moonroof, Lthr. Steering Wheel, Driver Airbag, Passenger Airbag, Intermittent Wipers, Rear Defogger, Security System, Anti-Theft, Satellite Radio, Center Arm Rest, Vanity Mirrors, Heated Mirrors, Body Side Moldings, Rear Fog Lamps, Child Proof Door Locks, Daytime Running Lights, Reverse Camera, Side Curtain Airbags, Roll Stability Control, Rear-Side Airbags, Tire Pressure Monitor, Carpeted Floor Mats, Overhead Console, Voice Control. Air Conditioning, Climate Control, Dual Zone Climate Control, Cruise Control, Power Steering, Power Mirrors, Leather Steering Wheel, Memory Seat Position, Clock, Tachometer, Homelink System, Telescoping Steering Wheel, Steering Wheel Radio Controls, Sunroof, Moonroof, Driver Airbag, Passenger Airbag, Security System, Rear Defogger, Intermittent Wipers, Anti-Theft, Body Side Moldings, Carpeted Floor Mats, Center Arm Rest, Child Proof Door Locks, Daytime Running Lights, Heated Mirrors, Overhead Console, Rear Fog Lamps, Rear-Side Airbags, Reverse Camera, Roll Stability Control, Side Curtain Airbags, Tire Pressure Monitor, Vanity Mirrors -REST EASY! Comes equipped with: 10.25 Center Display, Blind Spot Assist, Body Color Rear Spoiler, Control Code, Heated Front Seats, Heated Steering Wheel, Mojave Silver Metallic, Natural Grain Walnut Wood Trim, Panorama Sunroof, Polar White, Porcelain Fabric Headliner, Premium Package, Sd-Card Navigation Pre-Wiring, Silk Beige, Mb-Tex Upholstery, Wheels: 18 Twin 5-Spoke. BUY AND DRIVE WORRY FREE! Own this CARFAX Buyback Guarantee Qualified C-Class today, worry free! WARRANTY A Full-Factory Warranty is included with this vehicle. Contact seller for more information. LOADED WITH VALUE! Comes equipped with: 10.25 Center Display, Black, Blind Spot Assist, Control Code, Heated Front Seats, Heated Steering Wheel, Inductive Wireless Charging with Nfc Pairing, Mojave Silver Metallic, Natural Grain Brown Ash Wood Trim, Panorama Sunroof, Porcelain Fabric Headliner, Premium Package, Sd-Card Navigation Pre-Wiring, Silk Beige, Mb-Tex Upholstery, Wheels: 18 Twin 5-Spoke. This Mercedes-Benz C-Class also includes Air Conditioning, Clock, Climate Control, Tachometer, Dual Zone Climate Control, Memory Seat Position, Cruise Control, Homelink System, Power Steering, Telescoping Steering Wheel, Steering Radio Controls, Sunroof, Power Mirrors, Moonroof, Lthr. Steering Wheel, Driver Airbag, Passenger Airbag, Intermittent Wipers, Rear Defogger, Security System, Anti-Theft, Satellite Radio, Center Arm Rest, Vanity Mirrors, Heated Mirrors, Body Side Moldings, Rear Fog Lamps, Child Proof Door Locks, Daytime Running Lights, Reverse Camera, Side Curtain Airbags, Roll Stability Control, Rear-Side Airbags, Tire Pressure Monitor, Carpeted Floor Mats, Overhead Console, Voice Control. Air Conditioning, Climate Control, Dual Zone Climate Control, Cruise Control, Power Steering, Power Mirrors, Leather Steering Wheel, Memory Seat Position, Clock, Tachometer, Homelink System, Telescoping Steering Wheel, Steering Wheel Radio Controls, Sunroof, Moonroof, Driver Airbag, Passenger Airbag, Security System, Rear Defogger, Intermittent Wipers, Anti-Theft, Body Side Moldings, Carpeted Floor Mats, Center Arm Rest, Child Proof Door Locks, Daytime Running Lights, Heated Mirrors, Overhead Console, Rear Fog Lamps, Rear-Side Airbags, Reverse Camera, Roll Stability Control, Side Curtain Airbags, Tire Pressure Monitor, Vanity Mirrors -BUY AND DRIVE WORRY FREE! Comes equipped with: 10.25 Center Display, Black, Blind Spot Assist, Control Code, Heated Front Seats, Heated Steering Wheel, Inductive Wireless Charging with Nfc Pairing, Mojave Silver Metallic, Natural Grain Brown Ash Wood Trim, Panorama Sunroof, Porcelain Fabric Headliner, Premium Package, Sd-Card Navigation Pre-Wiring, Silk Beige, Mb-Tex Upholstery, Wheels: 18 Twin 5-Spoke. Pre-Owned vehicle pricing includes all offers. Tax, Title and Tags not included in vehicle prices shown and must be paid by the purchaser. While great effort is made to ensure the accuracy of the information on this site, errors do occur so please verify information with a customer service rep. This is easily done by calling us at (440) 359-6821 or by visiting us at the dealership.